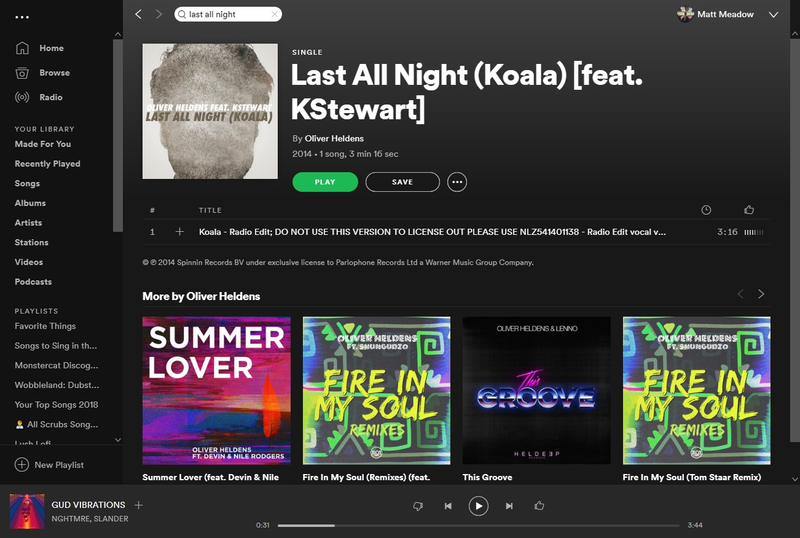 “Last All Night (Koala)” by Oliver Heldens is an absolute classic in the future house world. 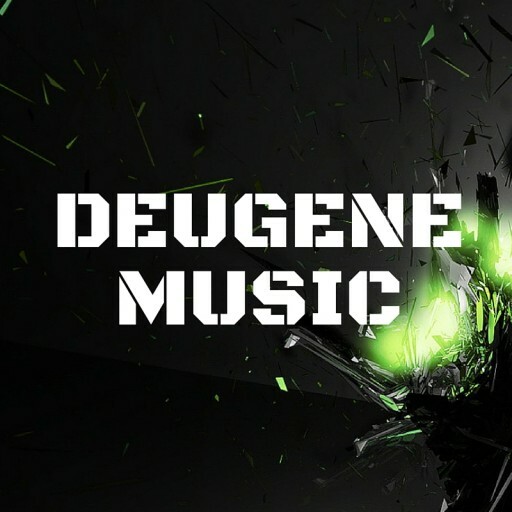 It’s one of the first tracks that truly embodied the genre moniker (apart from Heldens’ own “Gecko”) and it was the song that truly rocketed him to worldwide fame. As such, it’s not uncommon to go back and listen to it for a bit of nostalgia. However, what we saw this morning on Spotify gave us a bit of a surprise. A fan first noticed the error and tagged Heldens on Twitter, to which he responded, “Lol what up w this? @SpinninRecords.” So far, the label hasn’t responded and the error remains up as of 10:38am PDT. 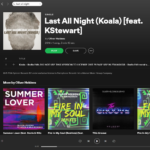 See it for yourself on Spotify or check out the screenshot below. Of course the track is still the same and it isn’t really a huge deal in the grand scheme of things, but it’s still pretty hilarious. DJ Snake dropped one of the biggest collaborations of the past 12 months with “Taki Taki,” featuring Selena Gomez, Cardi B, and Ozuna. But it seems like he’s trying to top, or at least match it with “Enzo” out tomorrow, featuring Offset of Migos, 21 Savage, Sheck Wes, and Gucci Mane. This track has the potential to be absolutely massive with so many huge names in [modern] hip hop on the same track. Between Offset and Sheck Wes alone it has viral capability, but 21 Savage and Gucci Mane also have the capacity to make it even bigger. No previews for “Enzo” have been heard yet, not even during either of Snake’s sets at Coachella, so we really don’t know what to expect tomorrow. But we only have so much longer to wait — stay tuned and follow up with Your EDM to find out what DJ Snake has in store. If there’s one artist who always produces quality, high energy tracks, it’s Flaremode. They’ve had quite a year already, releasing their anthem “Dolci Pensieri” with Jean Marie that charted for 2 weeks into Psy Trance top 10 and has earned hundreds of thousands of streams. Most recently, they teamed up with Mad M.A.C. for a thunderous single “Madagascar” that was nothing short of spectacular. Hard Lights is no stranger either, well known for his solid productions with his piercing electro plucks & rave bass signature synths. He has shared stage with the world biggest DJ’s like Martin Garrix, Bassjackers, Kenneth G, and earned support from each of these artists as well as Tiesto, Hardwell, David Guetta, Nicky Romero, and many more. Together, these two artists make a dynamite team. They’ve teamed up for a brand new single title “Another Level” signed to none other than DOORN Records. The arrangement is built to get any dance floor wild, pairing fat synth lines with a catchy vocal sample, building into a drop that utterly electrifying. From start to finish, “Another Level” truly takes you to that next level and is one you can expect to hear on heavy rotation all year long. Dex Arson is a name I’ll be paying attention to now that I’ve had the pleasure of hearing his Ice Breaker EP, out now via Uplink Audio. Comprised of four songs, Dex brings heavy bass and relentless beats to the mix. Of the tracks released, the stand out is absolutely “Break The Silence,” which sets itself apart from the rest as the only melodic tune. I’m always a sucker for melodic bass though, so perhaps I’m a bit biased, but it really does shine brighter than the rest just by virtue of being different. “Ice Breaker,” “Snake Pit,” and “Roll Out” each have their strengths, however, and are great for just banging your head and going wild. Check out the new Ice Breaker EP from Dex Arson below! During the Gucci Gang (Lil Pump, Gucci Mane, and Smokepurpp) set at Coachella two nights ago, one of the orb set decorations lining the top of the Sahara Tent (seen in the photo above) somehow experienced a catastrophic failure and fell down into the crowd, landing on a group of people and striking one woman in the head. A Reddit thread was created about the incident, drawing testimonials from over a dozen people who were either witness to the event, were near the victim, or actually helped to find medics and other staff. According to /u/nzsupreme on reddit, who was apparently also struck by the ball, it was the metal bracket holding the ball to the overall structure that ended up striking the woman. Other witnesses in the thread report seeing the woman, only identified as Caroline by friends, unconscious and bleeding directly after the ball fell approximately 60 feet from the ceiling. Once EMT arrived, her eyes were open and she was still breathing. Another user, /u/Heywhatsup2866, claiming to be a friend of Caroline, said that she went into surgery for a “skull fracture and staples/stitches for the lacerations.” She is reportedly now conscious and surrounded by family — that comment was made approximately 15 hours ago. @SHOWme_theGOODS on Twitter was actually filming at the moment the ball fell onto the crowd, and had the phone knocked out of his hands. Yelling from the surrounding people is indicative of the panic and urgency of the situation. This one is out now via Thrive Music, check it out below! Samsung addressed issues concerning both the hardware of the phone itself, as well as the protective layer on the screen, which resembles the removable film that comes on many electronic devices. As Verge points out, changes to the phone’s actual hardware could significantly delay the phone’s release; it might not even come before the Galaxy Note 10, rumored to be released around August. For now, at least, the Galaxy Fold is going back to the drawing board. The YouTube teaser is only 15 seconds long and doesn’t give away very much, even going so far as to have the last five seconds of the video be silent. However, some fans are guessing that the new blank spaces at the beginning of the title are a placeholder for “On April the 26th.” However, it’s really the 25th as Garrix confirmed on Instagram. ‘Summer Days’ together with @Macklemore and @PatrickStump of @FallOutBoy will be out on Thursday (2 PM CEST / 8 AM EDT)! Stay tuned for this release, it’s out bright and early! Bieber performed his hit “Sorry,” which was co-produced by Skrillex, but it was really more of an appearance than a performance as he sort of ambled about and lip-sang into the microphone. The abruptness of the whole situation likely contributed to his unpreparedness. After all, it was only about a month ago that Bieber announced he was taking a break from music for a bit to repair “some of the deep rooted issues that I have.” His performance last night isn’t to say that all those issues have been resolved, but it seems he’s certainly on his way. See clips from the surprise appearance below. | Ariana performed Sorry with Justin Bieber tonight on Arichella!